The Japan Bank for International Cooperation (JBIC) says the country is leaning towards direct ruble-yen currency swaps, as Western sanctions are making it difficult to conduct business using US dollar transactions. “We’re now studying that [the effects of ruble devaluation]. We need some of the swap arrangements with the local banks. We are elaborating opportunities with Russian banks such as Gazprombank, VTB, VEB… Because of the US sanctions, we cannot use the US dollar anymore, we have to switch to other currencies,” JBIC’s senior managing director Tadashi Maeda told Sputnik news agency on Thursday on the sidelines of the Eastern Economic Forum (EEF) in Vladivostok. 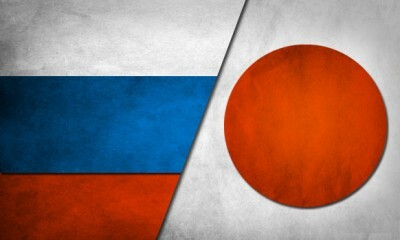 The interest rate is very high and could “hinder” swaps, Maeda added, talking about the use of the Russian ruble. In December, the central banks of China and Russia effectively switched to domestic currencies in trading using swaps and forwards as a way of reducing the influence of the US dollar and foreign exchange risks. The three-year 150 billion yuan swap arrangement has boosted trade turnover between the two countries, which has already reaching $88.4 billion. Moscow and Beijing expect trade turnover to reach $100 billion in 2015.